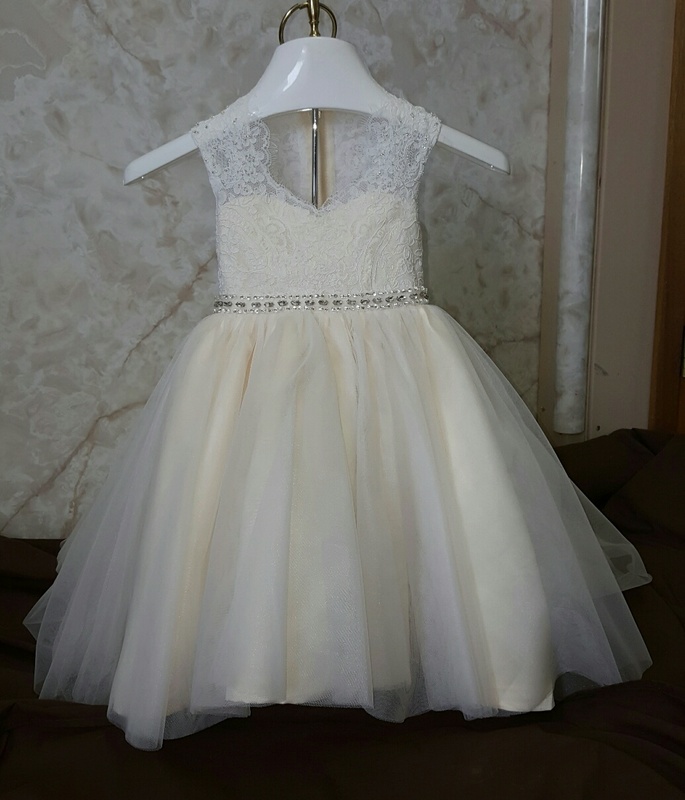 Lace baby wedding dress, size 12 months. 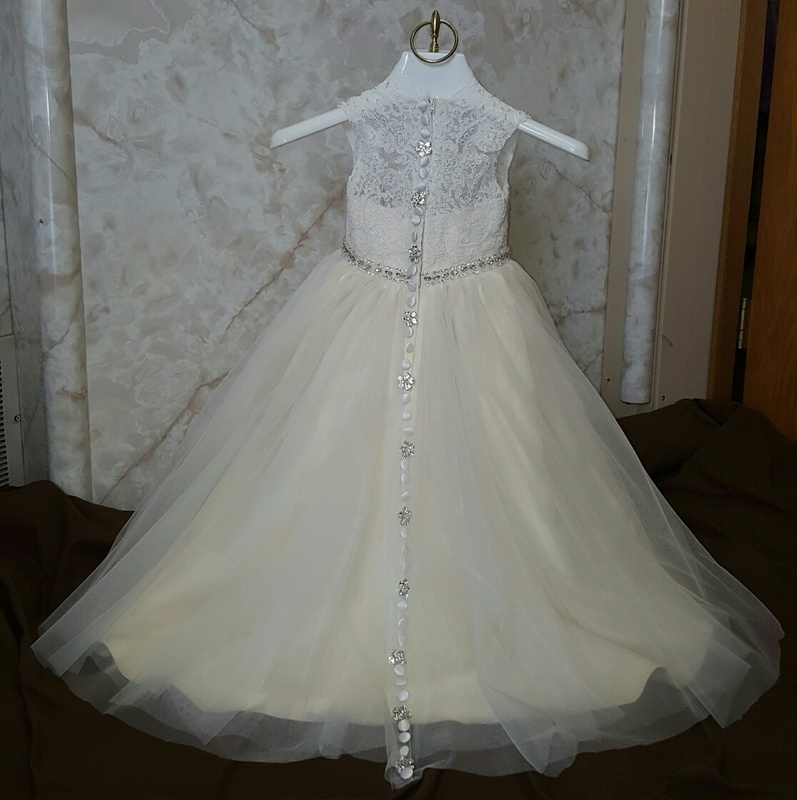 Baby wedding dress in size 12 months. Flower girl dress with illusion tank style top. 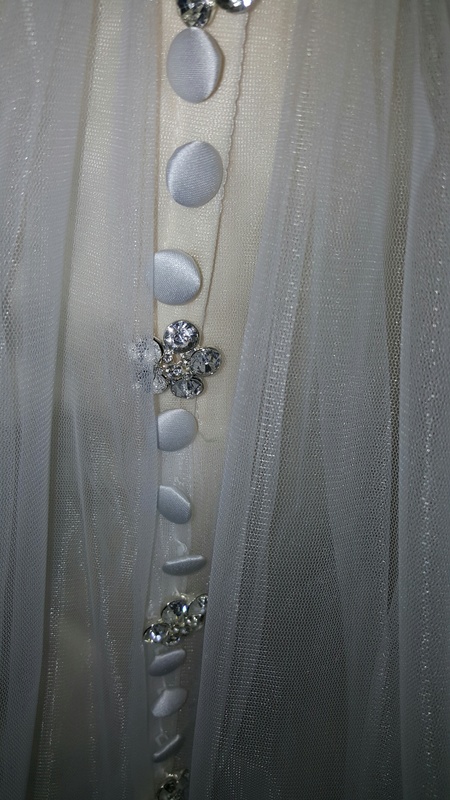 Custom designed by Jaks to match the brides gown. Complete little bride look with a bridal gown and matching flower girl dress. Over 399 created. This bride wanted to match her sheer illusion lace dress. 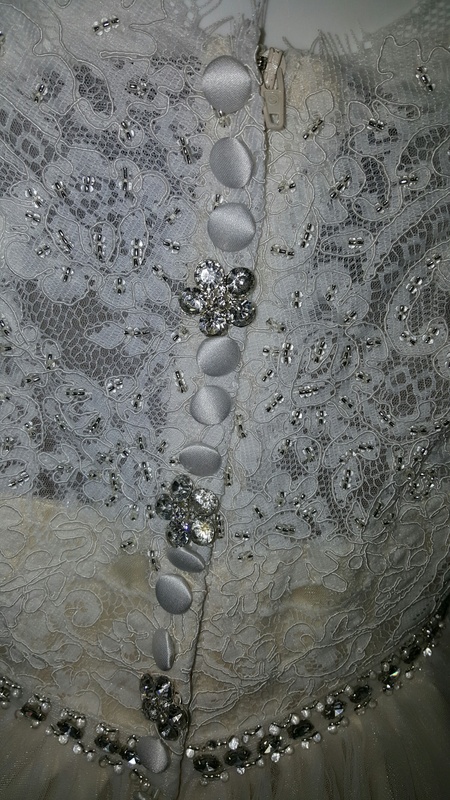 zipper back with the alternating fake buttons and jewel flowers all the way down the train.